Getting a deal done in two months at a tech conglomerate like Microsoft is the corporate equivalent of a double back handspring. And that’s exactly how long it took Microsoft to fully backtrack on the publicly derided layoff of Duane Forrester. 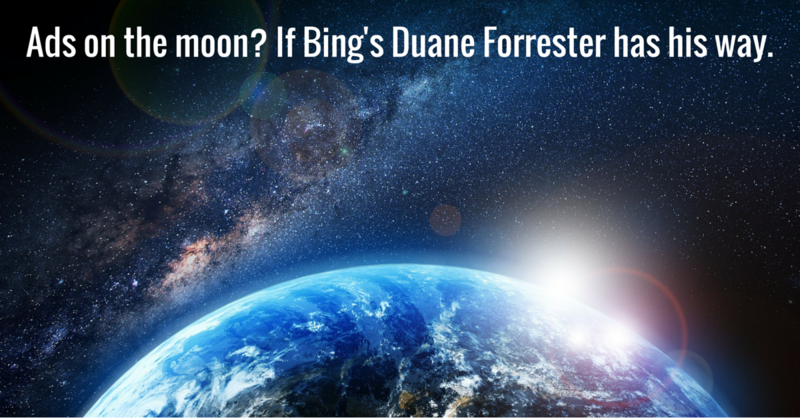 Forrester, a larger than life personality in the SEO world — literally dubbed the 2014 Search Personality of the Year — has been the voice of Microsoft’s Bing search engine to the marketing community since 2011. Last October, Forrester found his name on a layoff list of 3,000. Search marketers who adore Forrester for his straight-talking, webmaster championing, laid-back demeanor were by turns shocked and annoyed. How could the No. 2 search engine spare its most public figure and PR Ace? What did the move say about Bing’s attitude and support for the search marketing community? In December, Microsoft put any doubt of its commitment to search and the online business community to rest by admitting mea culpa and returning Forrester to his previous seat. Forrester is officially Sr. Product Manager of the Bing Webmaster Program, and holds a second title of Webmaster Outreach. He’s spent the last four years improving search for users by way of increased transparency and tools for SEOs and webmasters. He’s the mind who built Bing Webmaster Tools, which gives website owners critical insight into and control over how the search engine appraises their website. 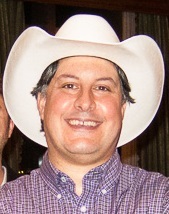 As a celebrated speaker, Forrester travels the globe to educate digital marketers on SEO and spread the white hat gospel (oftentimes in a white cowboy hat of his own). Forrester is hitting the road soon to attend SMX West, which we used as an excuse to invite him for a pre-appearance interview, with hopes of gaining a lesson or two on the inner workings of Bing this year. Kristi Kellogg: Last October your name came up for layoffs at Microsoft, and two months later you were back at Bing. How has your role changed? Is there now more awareness at the top levels of Microsoft about the importance of webmaster outreach for Bing? Duane Forrester: Previously my focus was solely on webmasters and now my remit includes working across groups on business-facing efforts (so, an expansion) and I also work more closely on the API side of things now. As for awareness, that’s always been in place. No program with the depth and breadth of Webmaster moves forward without senior leaders signing off on the work and investment. Our focus on businesses hasn’t faltered one bit, and let’s keep in mind: I’m only a single person. I might be on stage at conferences, but there were eight guys and gals back in the office making those tools run and adding new features. That didn’t change one bit. No, its safe to say the decision makers are well focused on the importance of businesses in the bigger picture. The understanding is clear — this is a partnership arena, and it works better when we all work in similar directions. This is why you see us partnering so much, and why you saw the investment in 2012 to dramatically update Webmaster Tools and change what businesses should expect from our tools. KK: Do you think the outpouring of support by the SEO community changed any opinions of decision makers at Bing and Microsoft? DF: I have to admit, I was personally humbled by the outpouring of support. I was unprepared for it and it caught me by surprise. You try to do the right things during your career, help others, answer questions, etc. Often we all hit that moment where we realized we’ve had good days, did good things, and days when we’ve failed. To see the “phone lines light up” as they did was simply inspiring. I literally had tears in my eyes by the end of that Thursday after having to give up responding to the tons of supportive tweets, emails, calls and wall posts. I’m sure I even missed some posts on Ello … ;) I lost count after the 400th moment, and realized I needed to focus on things like looking for work. It would have been tough for anyone to miss the buzz generated (and I’ll insert a thanks for boosting my Klout score all the way up to 75 gang!, though it’s now stabilized … LOL). I know folks internally came across it. They heard the message that was being sent. Though it helps to keep in mind that decisions are rarely made on a single data point. Let me just say this … the teams here at Bing were extremely fast movers when the conversations started. Supportive, honest, open. I’d be hard pressed to find better folks to work beside. KK: A 75 Klout score?! That’s legitimate :) What’s on the horizon for Bing in 2015? What types of initiatives are you planning to drive for Bing this year? DF: Oh my, well, let’s see. We will be launching lunar advertising, using a laser to scroll ads across the moon’s surface, visible from Earth. It’ll run through Bing Ads, so anyone can bid to have their message scrolled. Obviously no adult or gaming ads, but we’re thinking of opening it up to the general population for special times like Valentine’s Day to let them send that message of love to some special in a galactic way. Otherwise, we remain focused on the usual: user experience, mobile, growing share and, of course, providing value to searchers and businesses. This is actually a tough one to answer simply because we can’t give anything away. I will say, though, that we’re always open to ideas, so if you have a feature in mind, sound off and let us know. Can’t promise it’ll get included, but better to build with input than in a vacuum is how we view it. KK: You have asserted that “people should start thinking of usability and SEO as one rather than two completely separate entities” – one should not come at the expense of the other. What are you thinking of when you warn against this? What is the preferred thought process you’d like to see website owners go through when making decisions about SEO and usability? DF: Specifically, I was thinking about the many, many failed “mobile” experiences I’ve had. You know the one. When you’re on a tablet or smartphone, you try to click on the navigation of a site, only to realize it was built solely for the operation of a mouse, which features “hover.” That moment where you “hover” your cursor over the element and the navigation is then revealed. Except there is no such feature on most mobile devices, and it’s also not on most touchscreens full stop. So what happens? Well, if I can’t navigate on your site, I go somewhere else — easy for me, as a consumer, to solve that problem. And it’s a clear sign that usability testing was skipped, or it was done in a haphazard manner. In today’s world where mobile experiences are preferred for mobile results and the trend of mobile query growth outpacing desktop queries being the norm, why skip usability testing? For a lot of businesses, it’s seen as an added cost. The fact is, it’s an immediate reduction to most bottom lines. Before you’ve even launched the site, all the small, but numerous failure points that exist around button style, color choices, image sizing, button labeling, workflow grouping are already conspiring to make your new site less than 100 percent. SEO is about improving a website to help the search engines understand, interpret and rank it’s content. Usability is about pleasing humans, helping them uncover content, find new, useful things and making their experience on your site a positive one. the main problem here is that SEO alone often focuses on the crawler first. The crawler, though, is focused on serving the searcher. Which means your efforts need to shift to “consumer first.” That places SEO and usability side-by-side. They shouldn’t be seen as individual workflows. When you embark on an SEO audit, it should include a usability audit. If someone suggests a usability study for their website, that is the moment to start talking about SEO, as well. KK: You recently stated that SEOs will be hearing more voices from Bing, meaning “more and deeper insights from the various teams within Bing.” Any voices or teams in particular you’re hoping to get involved in speaking to the SEO community? DF: Any that we feel have something interesting, or impactful, to share with the industry. And any that pop their heads out of their doors as I walk the halls. ;) You’ve seen folks from our Crawl Team, our Index Team, our Spam Team, our Product Leads and myself to date. That’s pretty good coverage, but I’m betting we can find a few more voices to get published on the blog, and if I’m lucky, we’ll be able to convince some of them to visit a conference or two this year as well. We’ll see. Either way, I’ll still be out there. KK: Should we be gearing up for any special announcements at SMX West when you take the stage? KK: You speak at a lot of conferences on behalf of Bing. Where will we see you in 2015? 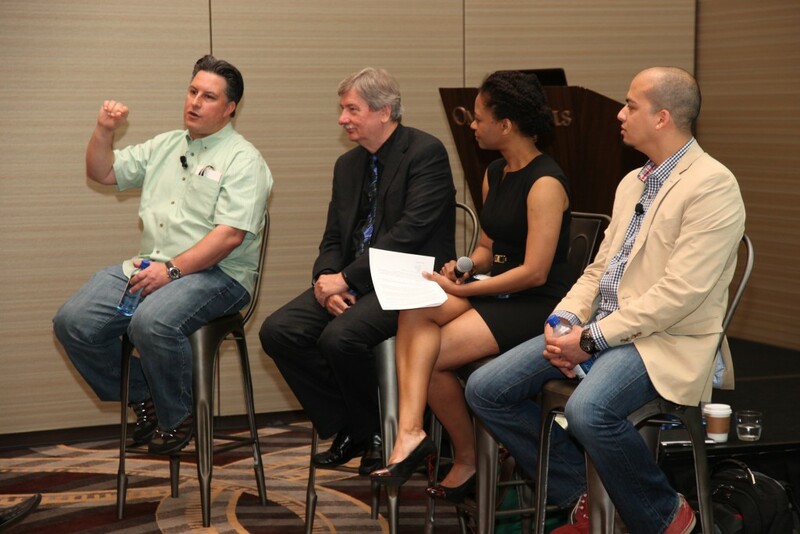 Bing’s Duane Forrester speaking alongside Bruce Clay, Maisha Walker and Manny Rivas at the 2015 GROWCO conference. DF: Still working out a lot of these opportunities. SMX West, obviously. Maybe SMX East if the timing works, Pubcon if the stars align, DFWSEM in the fall, and I have a few other smaller, local events on the radar. I’ll be blogging on the Webmaster Blog and on my personal blog more, and hopefully appearing in a few other places across the web. KK: What’s one of your favorite conference memories? DF: Walking into day one at my first ever SES in New York City and having that deep, soulful feeling that I was among people who understood me, spoke my language. It was like finding the family you were born with, but didn’t grow up with. KK: You’re the reigning Search Personality of the Year. Congratulations! Who would you like to see take the crown in 2015? DF: Loaded question! Far too dangerous to handle! To be honest, there are so many deserving people, it’s impossible to include everyone. Yeah, that’s a political answer, I realize, but the fact is, there ARE so many people across our industry who have made, or continue to make, a positive impact. I think the real key is that people from the industry get involved with the [US Search] Awards. Beyond them being fun to attend, there’s real value here in terms of networking, personal branding and career growth. KK: What are three of your favorite accounts to follow on Twitter? @adage for things marketing/advertising and big company. @copyblogger because of their sheer ability to get. it. right. @maishawalker because I know her and she has such a great head for business. I have culled by Twitter “following” list to under 300 now, and getting me to add you requires a steady commitment to usefulness. Not just to me, but it’s gotta be obvious that your usefulness extends readily to others. Otherwise there’s no hope I’ll retweet you, so you don’t make the list. @bruceclayinc is on my list, obviously — has been for years. Otherwise, I have a few that are “off-topic” in the realm of future tech, random people and companies. KK: Gawsh … (blush). New topic! What were the best books (of any kind) you read last year? What’s on your reading list for this year? DF: I’m going to list titles here and folks can go look them up as they like. They span from fiction to business to what I’ll call reality. KK: What are your personal resolutions for 2015? DF: Finish book No. 3. Publish more unique content. Maybe try walking on stage at an open mic night at a comedy club. Motorcycle trip to Death Valley. Back to Europe if at all possible. Walk my dogs more. Enjoy — and engage in — the relationships I’ve built across this amazing industry of incredible people. Duane is a comedian, open mic or not, and we’re honored he took some time to impart laughs and SEO knowledge with us here. 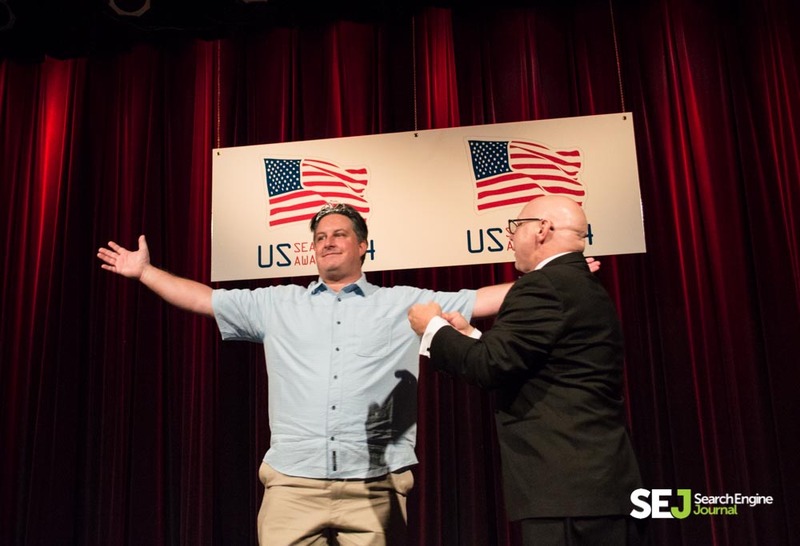 Want more of the SMX West 2015 Speaker Series? Discover insights from Google’s Gary Illyes, SEO by the Sea’s Bill Slawski, Bruce Clay, Inc.’s Mindy Weinstein, HubSpot’s Luke Summerfield, aimClear’s Marty Weintraub, Alliance-Link’s Debra Mastaler and Moz’s Pete Meyers. The SMX West 2015 Speaker Series wraps up next week with final interviews with Pushfire’s Rae Hoffman, Stone Temple Consulting’s Eric Enge and Experian’s Bill Tancer on deck. Great content Kristi, it will help a lot to tweaking the stuff. Excellent article, what is the bigest chalenge for search engine optimization professionals in 2015 regarding mobile searches, organic vs paid ? WOW.. i really enjoyed this interview and very interesting name “Bada BING, Bada Boom”! Brilliant .